Do you have a big home dec project on your want-to-do list, but haven’t tackled it yet because it requires many yards of gathered ruffles? Maybe you’re making a slipcovers with a ruffled skirt, or a gown with tiers of gathered ruffles. If you have an overlocker/serger, you can gather all those fabric strips quickly and easily! 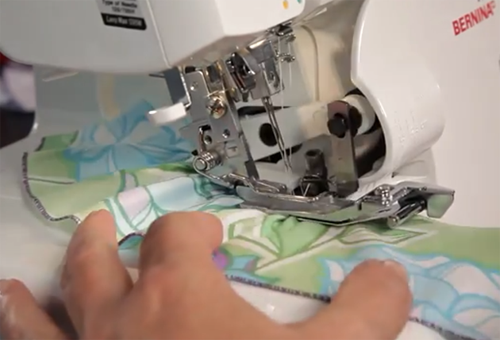 Join Connie as she demonstrates how simple it is to gather fabric on an overlocker using a gathering foot.